I recently went out for a movie with my friends. No – let me put it this way – I actually took the time out of a very busy schedule to go and watch a movie with my gang of girls. As in, I woke up early, finished my assignments, missed my morning gym session and then worked some more late into the night. And I watched a movie that was totally not worth the effort. But what was even worse was the way it wiped the smiles off of all our faces – especially those forever smiling friends of mine who thrive on outings like these. 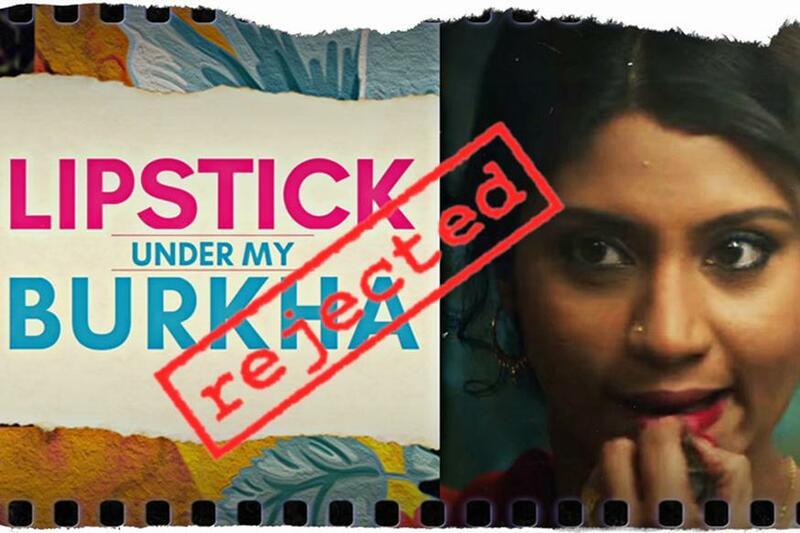 Lipstick Under My Burkha started off with great promise. But then, it sank. The movie showed one abyssal aspect after another pertaining to a certain class of small town women. There was the widowed lady who ran her shop and building well by day and read trashy Hindi erotica by night. There was the young college goer clad in a burkha until she reached college with lipstick and jeans stolen from the nearest mall. There was the young mother of three who could not say no to her cheating husband and take on the job of her dreams. And if all that was not enough – there was an utter lack of direction and conclusion to what could have been an uplifting story filled with real, tangible nuances of feminism. Yet, what we got in the name of feminism was a young girl picking up a cigarette and lighting one for the old widow, damned by her family for her Hindi erotica penchant. I have no problem with girls who like to smoke. But does that make a non smoking single mother running her own business, for example – a non feminist? I wandered out of the movie theatre, listless and pained at all that I had seen. The movie could have addressed very real issues pertaining to moulding of careers and making independence and safety a very niche everyday affair. It could have addressed feminism for what it actually is – a metaphor for living life on one’s own terms. However, it made a point of trying to tell me that my mother and mother in law were not “feminist” enough because they had merely had successful careers, taken care of the family at the same time, provided for us, and made us all independent minded human beings who were not scared of venturing into uncharted territory even as we are fine being domesticated. And I am talking about the sons and the daughters they have brought up. Same values for both sexes. Facebook and other revered platforms have made quite a joke out of feminism. And no, I am not merely speaking about memes here. I am talking about a fixation with things that are only symbolic and an utter disregard for building a relationship with your partner in crime – the father, the brother, the husband et al. In our race towards so called feminism, we are busy trampling them as we accuse, point fingers, judge and make their poor souls miserable by misconstruing pretty everything that hops out of their mouths. So if I will speak about my feminist mother, I will speak about my feminist father too – the man who stayed home on days when the lady had to be out for meetings. The man who took care of us while she took boardrooms by storm. The man who put in just as much as she did. So Bollywood – please do not undermine real feminism. My brothers and father are staunch feminists too. And I do not need to blow smoke rings in anybody’s face to prove that. “I am talking about a fixation with things that are only symbolic and an utter disregard for building a relationship with your partner in crime – the father, the brother, the husband et al. In our race towards so called feminism, we are busy trampling them as we accuse, point fingers, judge and make their poor souls miserable by misconstruing pretty everything that hops out of their mouths.” – LOVE ❤️❤️❤️ And oh so true! I avoid getting into such “discussions” online, such a waste of space and time I feel, but the feminism is the most misused and abused term in recent times. I feel that the current mood in India is that of a rebellion, everything and more so feminism has become a “mudda” to fight and argue over, but underneath it all no one knows – A. why they are angry – and they are angry all the time. B. Whom they are rebelling against – I mean “be the change” right! C. what they are rebelling against – there is a new “mudda” every week! “Flavor of the month” has now become the “flavor of the week”, the interest span has shortened so much ! Sorry about the rant but I kinda now stay away from the “feminist” who find me very vain and shallow because I always appreciate my husband (who would move mountains to keep me happy) and my son (who thinks the world of his mother)! Very true – we must start using humanism more often. Just a thought! Did the movie say at any point it was about Feminism? Can women not be portrayed to have existential carnal desires other than for just procreation? Should women with base desires always be molls and not real women? The movie did present a slice of life from a segment of women who do exist. They were far too many layers in the film which I guess got lost whereas the tangible smoke rings became larger than life! Yes, I agree that the layers somehow caused a complete loss of a logical conclusion. Thank you for the compliment! We try and update the blog often – so do keep following us for regular content and entertainment! Thanks – so happy to hear that! Youre so cool! I dont suppose Ive learn something like this before. So nice to find somebody with some unique ideas on this subject. realy thank you for beginning this up. this web site is something that’s wanted on the web, somebody with a bit of originality. helpful job for bringing something new to the web! I am also commenting to let you be aware of of the magnificent discovery my wife’s princess obtained checking your webblog. She learned several details, including what it is like to have a marvelous helping nature to make the mediocre ones clearly fully understand chosen complex things. You actually exceeded our own expectations. Thank you for offering such invaluable, dependable, edifying and even unique guidance on the topic to Sandra. After research a number of of the blog posts in your website now, and I truly like your way of blogging. I bookmarked it to my bookmark website record and can be checking back soon. Pls check out my website as nicely and let me know what you think.